Not all lawn turf is created equal so if you are in the market for instant Cootharaba turf you need to know exactly what you are looking for. Sir Walter has been specifically designed for the Australian climate – it can easily handle days of flooding rain and periods very little as it is drought tolerant and maintains a strong root system. Sir Walter lawn is self-repairing and establishes with minimal care. Sir Walter turf is pest, weed and disease resistant making it low maintenance. Sir Walter is both full sun and shade tolerant and so can easily adapt to your entire lawn. Sir Waler grown and supplied as an environmentally friendly and sustainable product. Sir Walter is low allergenic making if the perfect choice for allergy sufferers. 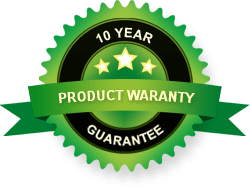 As an additional benefit – Sir Walter is only grown by certified growers ensuring consistently high quality turf and all genuine Sir Walter Buffalo comes with Certificate of Authenticity. Daleys Turf is one of a limited number of certified grower and turf suppliers throughout Australia. Based on Sunshine Coast, Queensland they supply the Sunshine Coast, Gold Coast, Brisbane and Ipswich areas through turf farm pick up or delivery. For more information on quality turf grass prices or to order online, just contact the team by clicking here today.